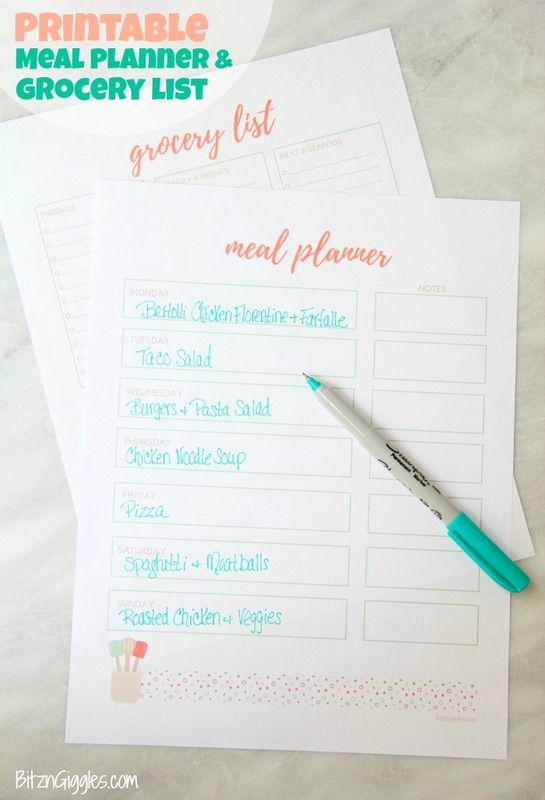 Printable Meal Planner & Grocery List – Free meal planner and grocery list printables to help stay organized and ready for the week ahead! So, I know I’ve been talking a lot about menu planning lately. It’s because it’s necessary. . .for me. It’s been a real struggle lately. With school back in session and work in full force, it’s not always easy to get a delicious meal on the table at the end of the day. I was determined, though, to get my act together and make it happen instead of giving in and eating out. 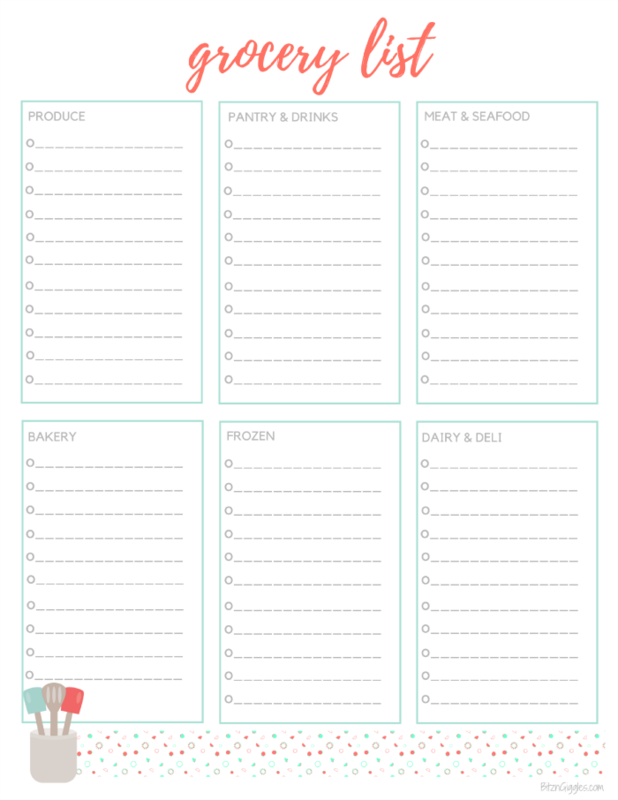 So, that’s why today I’m sharing a free Printable Meal Planner & Grocery List. 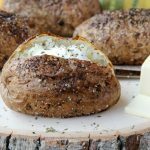 If evening meals can also be a struggle for you, I hope this helps you out as much as it helped me. 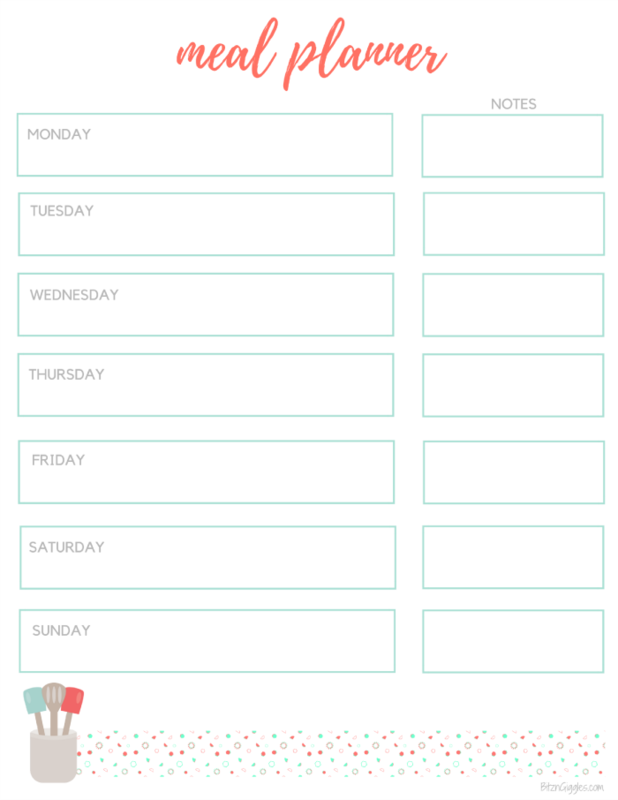 On Sundays I sit down with my meal planner and start filling it out. . .my grocery list comes after that. 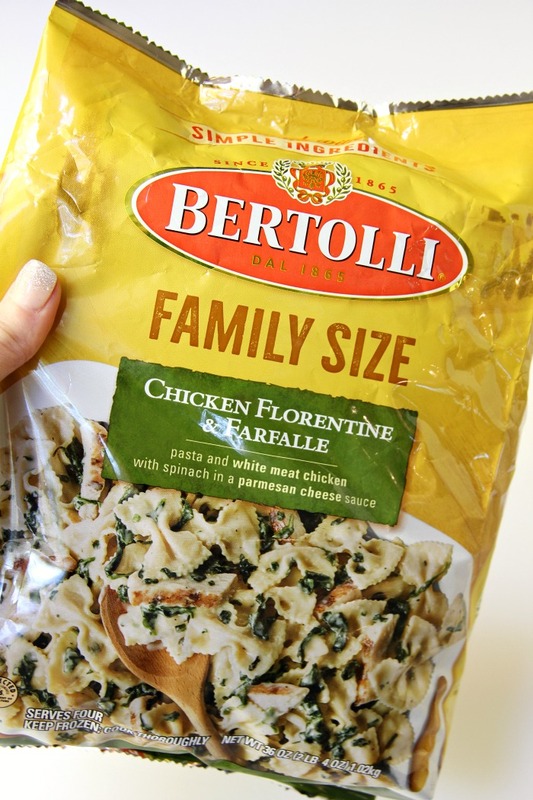 One of my go-to meals during the week are Bertolli® Family sized skillet meals because they’re quick and delicious. 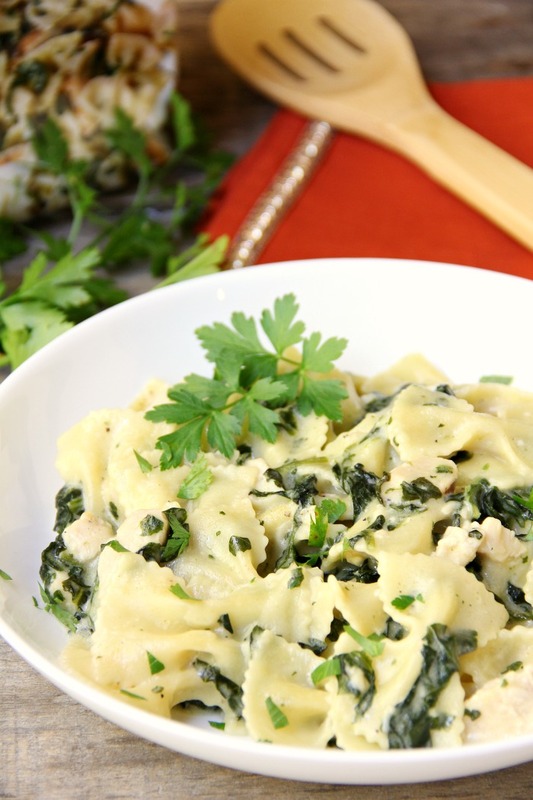 We recently tried the Bertolli® Chicken Florentine & Farfalle. The kids loved the bowtie pasta. 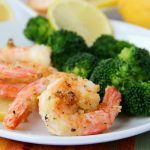 We loved the creamy parmesan cheese sauce! 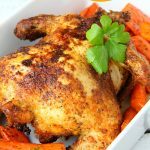 You literally put the meals in a skillet, place the lid on the pan and warm them up. They’re ready in under 15 minutes! It really doesn’t get any easier than that! 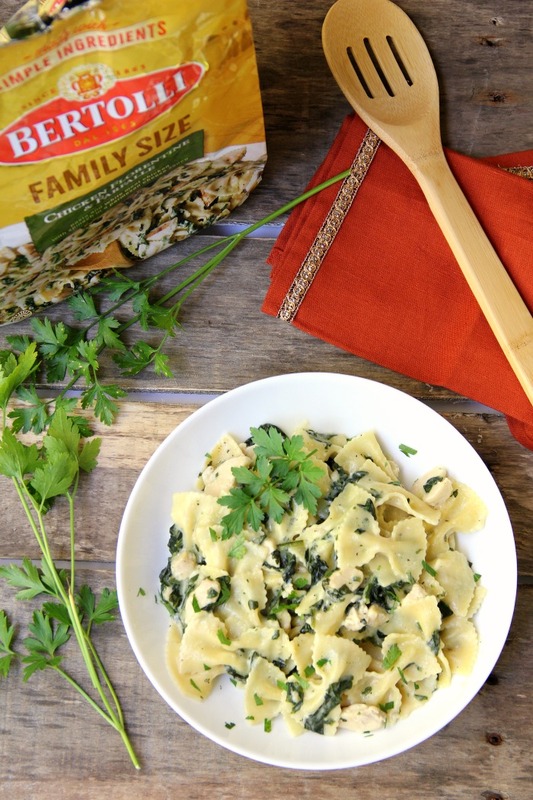 If you have some busy evenings coming up too, make sure to head to Walmart and pick up a delicious Bertolli® family sized meal. 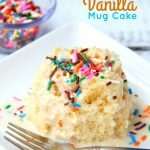 You can even check out more recipes, here! To make the deal even more delicious, there is an Ibotta offer for $1 off the Bertolli or PF Chang’s Home Menu frozen products. 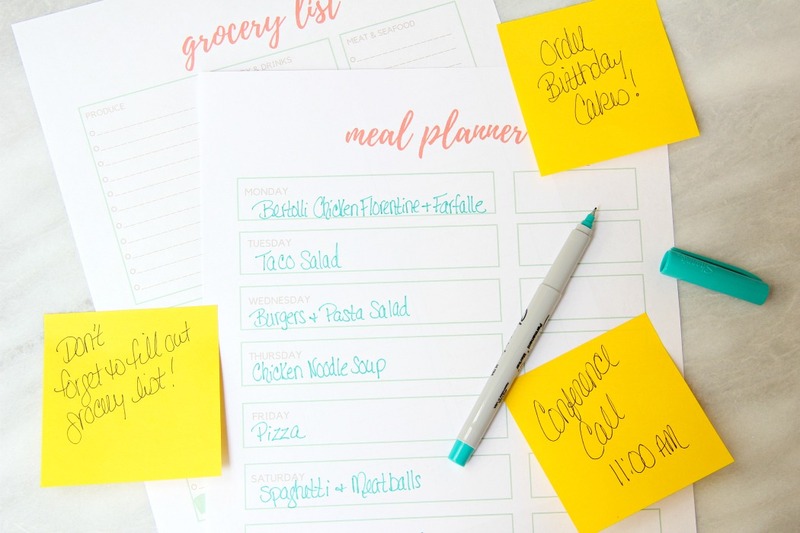 I can’t wait for you to print out your meal planner and grocery list and try one of these quick and easy Bertolli® meals! P.F. Chang’s and P.F. Chang’s Home Menu® are registered trademarks owned by P.F. Chang’s China Bistro, Inc. and are used with permission. Bertolli® is a registered trademark of R&B Foods, Inc., used under license.